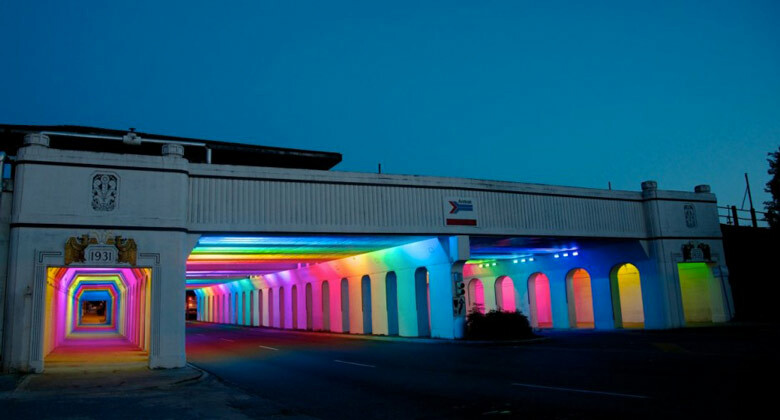 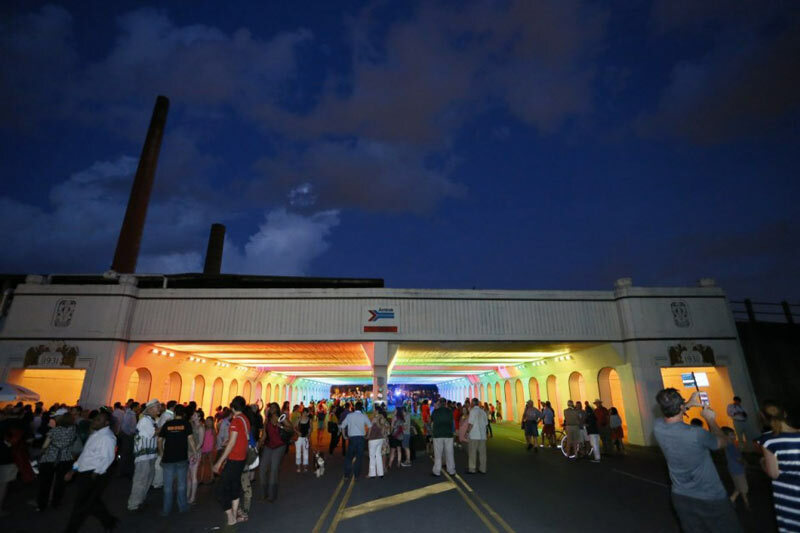 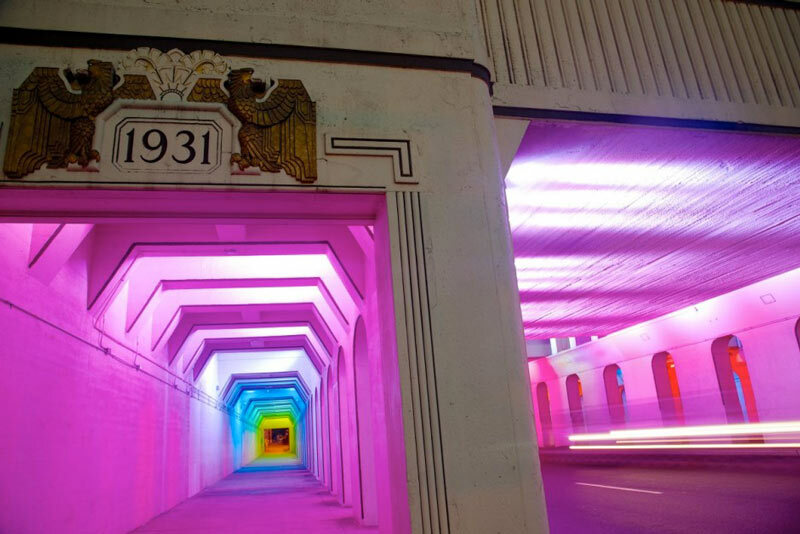 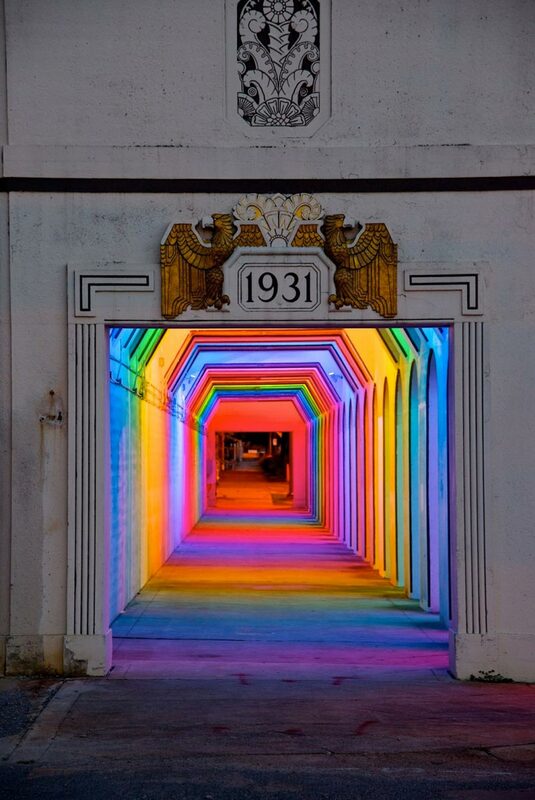 Birmingham, Alabama is the place of this railroad underpass brought into the spotlight by Bill FitzGibbons, a sculptor and public artist who named the installation ‘LightRails‘. 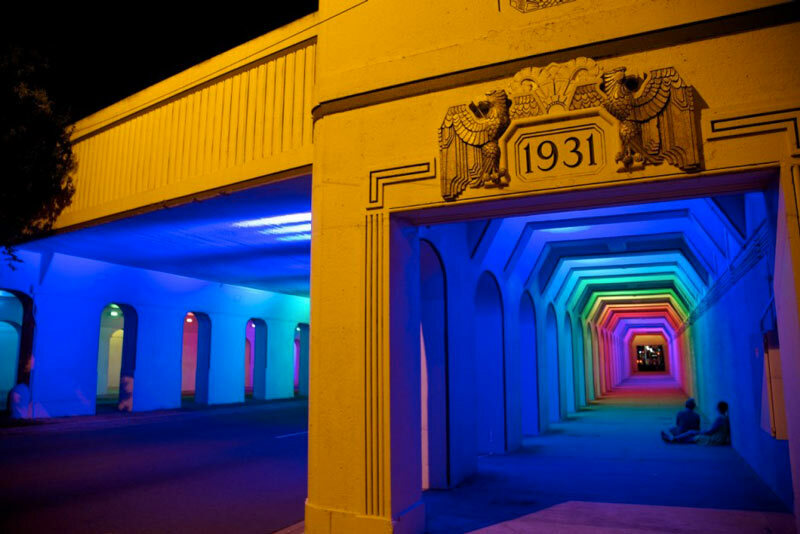 The underpass, though a very important gateway, used to be a deteriorated tunnel that was by no means inviting and seemed eerie and even dangerous, but the use of FitzGibbons’s lighting solution changed all that. 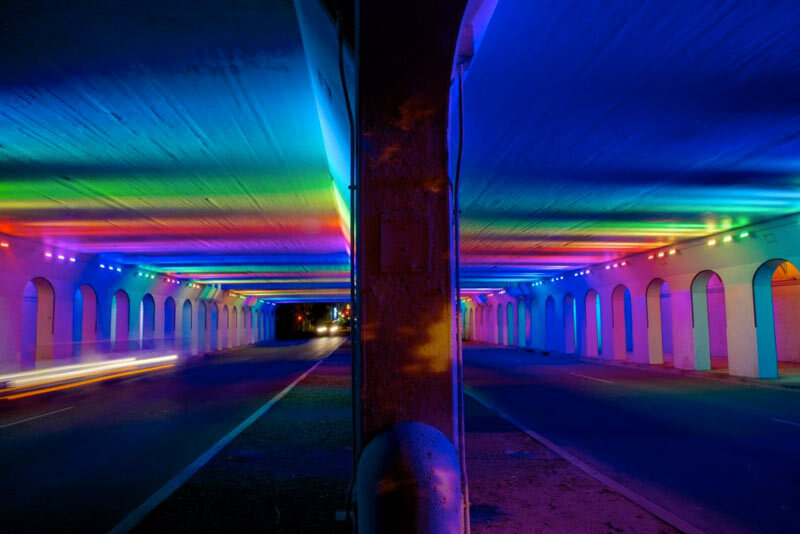 The use of LED lights that are computerized in order to form a range of lighting patterns actually encourages more people to use the underpass and not just as a transition area, but also a place to stay a while and enjoy the lighting colors and changes.